Choosing an online college is a process. When you start to compare online colleges, you’ll find it’s not so easy when each and every school is telling you they are one of the best affordable online colleges out there! It’s helpful to compare online colleges in relation to your needs and objectives. Are you working a full-time job? The best online colleges for working adults often offer perks like credit for life experience or generous transfer credit acceptance policies. Short on funds? Look for online colleges with free laptops or universities with no application fee. Short on time? Accelerated online programs make a bachelor’s degree quick. Getting your degree by distance learning has major benefits, particularly for working adult students who are returning to school for further credentialing, or to make a career change, but they are hardly the only students taking advantage of the rapidly growing online sector. Many traditional-aged students are choosing the online route too; they grew up on the Internet, after all, and it’s as real a world to them as any. Young people who have been steeped in online gaming, communication, and exploration can adapt to online college classes readily. Value Colleges is here to help you navigate your way through the confusion of online degree programs to find the route that is right for you. First of all, we consider only regionally accredited online colleges that have an appreciable reputation; secondly, we do our homework on programs, prices, and returns to make sure that every institution featured meets Value Colleges criteria for value; finally, we run the numbers and rank each by its balance of quality, affordability, and outcome to find the top online colleges. Note that many schools can take online students from most states. However, some schools’ accreditors may limit which states students can be based. During your online college search, double check with your favorite school to be sure you can attend from your state. Oregon State Ecampus opened to create online programs that defy borders, making their degrees accessible and affordable in service to a diverse range of students. In a Pacific Northwest region that is known for the tech industry, there is no reason that an online degree program would not thrive. The program at the Ecampus is distinct in that it not only enables students to learn in a flexible context that works for their schedules and lifestyles, but also they create a virtual place to gather. Incorporated in the stellar education is a comprehensive lifestyle experience that meets the needs of so many students. OSU’s low tuition makes it a natural choice for an online bachelor’s degree. With nearly 30 undergraduate degrees to choose from, students looking for affordable online colleges, need to look no further than OSU Ecampus. OSU is the only public university designated for federal land, sea, space, and sun grants. While it has its roots in agriculture and forestry, like all land-grant institutions, OSU has become a leader in STEM research. Oregon State calls Corvallis, Oregon home. This town that has been ranked by various publications as one of the best places in the country to live, but it is not for everyone. Luckily, OSU Ecampus comes to you. Oregon State Ecampus has earned the number #1 slot on this list of affordable online colleges, not only because of the price tag but the cost benefit. The University of Florida’s online degree programs are known for offering programs that are easy on your wallet while maintaining an academic rigor that will allow you to get ahead. They are also one of the best online colleges for working adults, as they provide flexibility in their structure that will enable students to structure their classes around their work schedule and demanding lives. There are over 100 online programs to choose from, all of which they offer entirely online. The US News and World Report ranked The University of Florida number 11 among online bachelor’s programs. The University of Florida was started in 1853 as East Florida Seminary in Ocala, Florida. Their campus, however, is now in Gainesville, Florida on a campus that sits on 200 acres. They pride themselves on meeting their students where they are, and therefore, their extensive online programs cater to a variety of adult learners and nontraditional students. They are accredited by the Southern Association of Colleges and Schools (SACS). The University of Illinois at Chicago Extended Campus is ranked among the country’s best affordable online colleges as they offer extensive high-quality programs for a price tag that won’t break the bank. They have a wide array of affordable online course offerings that can be taken for credit or community interest. Some programs are bachelor’s degree or master’s degree-granting, while others are in service of a certificate. Students can work towards a Certificate in Nonprofit Management, and a Certificate in Social Enterprise among many other cutting-edge and relevant opportunities.tAll of their classes are taught by faculty members of the University of Illinois, all of which are experts in their field. The University of Illinois at Chicago (UIC) Extended Campus is an affordable and flexible option for adults and non-traditional students to pick up credits, certificate programs, and even degrees. 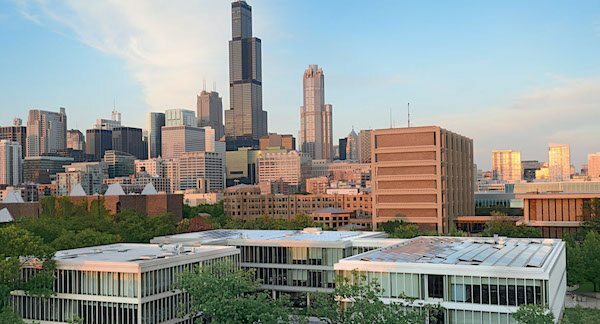 The benefits of studying online at UIC include efficient programs that use the same faculty and name as the University of Illinois at Chicago. Oregon Tech Online is one of a select group of affordable online colleges that offer adult learners and nontraditional students avenues for degree achievement that are affordable and comprehensive. Their programs are so convenient; you can complete the coursework from anywhere in the world, as long as there is an active internet connection. Class time often includes reading written lectures and course materials and interacting with other students through the classroom portal. There are many programs to choose from that can be completed entirely online including bachelors, masters, associates, and programs specific to degree completion. Though Oregon Tech has their primary campus in Klamath Falls, Oregon, much of their magic happens online, where students can get a real bang for their buck. The best value the school’s motto is Through knowledge, light.” The original mission of the school was to train veterans invocations to give them skills for successful careers. Hands-on learning is paramount to their academic structure, even for students who achieve degrees online. Many students participate in externships as well as co-op learning experiences. NC State Online and Distance Educations. North Carolina State University Online and Distance Education is known as one of the best online colleges for working adults in the South. Their programs are renowned internationally, not only for their comprehensive and flexible degree programs but for their affordability. At a point, it started to make sense for programs geared towards adult learners to take on a different structure than the traditional classroom structure if working adults were going to be successful academically while maneuvering so many life responsibilities. NC State put their finger on the pulse when they created accessible paths for adult learners to achieve a variety of degree programs including bachelors, masters, doctoral degrees as well as teaching licensure among other options. Students will have critical thinking opportunities to explore complex issues of our time. North Carolina State University has their campus in Raleigh, North Carolina, and they not only have online options but a blended format that gives students the best of both world (on campus and online). Their motto Think and Do explores the hands-on nature of their pedagogy. Affordability has always been paramount to their mission as the best value institution, even for their special programs, such as their Young and Teen Writers Workshops. 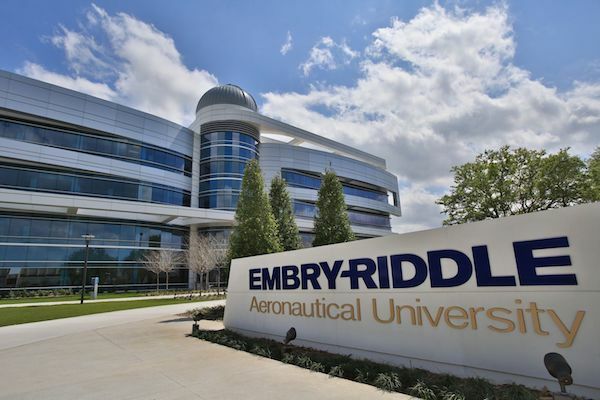 Embry-Riddle Aeronautical University – Worldwide is one of the top affordable online colleges. Not only will their course offerings not put a hole in your wallet, but flexibility is a crucial benefit from participating in their online degree programs. They have 12 distinct undergraduate degrees and ten graduate. Every session is nine weeks in length, except for the Master of Science in Aerospace program, where the courses are 12 weeks. Students can complete the coursework from anywhere in the world, as long as they have consistent access to an internet connection. Another element that sets Embry-Riddle apart from the others is their personalized degree maps that support students to establish clear and achievable goals based on their life circumstances and graduate accordingly. Embry-Riddle was ahead of their time, as they were trailblazers in online learning. They began offering distance education in 1971. Their experience has contributed to their notoriety. The US News and World Report have ranked them among the top online schools in the country for five consecutive years, and in 2018 they were ranked number two. The University of Georgia’s online learning program (UGA Online) places UGA among the top affordable online colleges. Their offerings include a wide variety of certificate programs, two bachelor’s degree programs in Business Administration and Special Education, and seventeen graduate degree programs. UGA began offering online programs to create accessible opportunities for students that require more flexibility than a traditional student might. The online format emulates a classroom with small class sizes. The online faculty also teach on campus and are committed to giving online students all of the resources traditional face-to-face students have, including advisement. The online learning platform is called e-Learning Commons and enables students to have an interactive classroom-like experience with many opportunities for peer engagement. 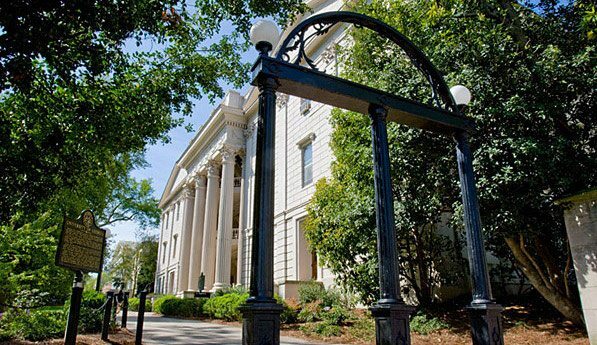 The online learning program at the University of Georgia has excellent success rates of their graduates including a 97 percent retention rate and 94 percent job or graduate school placement upon graduation. There are many paths to financial aid that students can take, including scholarships, grants, and loans: corporate assistance, and military assistance. Online students can receive the same tuition as in-state students. The University of Wisconsin System eCampus prides itself on providing affordable, flexible, and accessible online certificate and degree programs. They cater to adult, and non-traditional learners that require They have over 150 pointed online programs through specific UW campuses. They have such a large selection of unique offerings including graduate certificates in Autism, Communicating with Emerging Media, Alternative Education, among many others specialized programs. There are 60 distinct graduate online degree programs in topics including Administrative Leadership, Applied Professional Studies, Environmental Engineering, among many others. The Higher Learning Commission fully accredits UW’s programs. Classes are offered in the Summer, Spring, and Fall. The online programs through the University of Wisconsin system underwent major restructuring 2017. It has since become more accessible and affordable after a massive university-wide merger. Though the coursework is very flexible, they do not offer self-paced courses. Financial aid for online programs makes it possible for many students to participate. The online management system that students utilize to take their classes is called Desire2Learn. Indiana University’s online degree programs are considered one of the more affordable options for students seeking a flexible academic experience. Even traditional students regularly participate in online classes for a change of pace, though often it is adult learners and working professionals that seek degree completion and achievement through their online opportunities. Students can participate in IU’s programs from anywhere in the world, and they certainly do. Their offerings include 124 complete online programs and 2,398 classes. The magnitude of their programs is so vast that over 30,000 students are enrolled in at least one course online. Indiana University has been offering online programs for over five years, and prides itself on being the “state’s online powerhouse.” Affordability is paramount to the mission of Indiana University’s online programs, as is their mission to serve and cater to the needs of a diverse student body. These principles lend themselves to having excellent financial aid options. Since 2014 they have increased their online degree programs by 46 percent. Arizona State University’s ASU Online is referenced among rankings of affordable online colleges because they not only have a respected name, but they have extensive, accessible programs that are delivered online. They have over 175 full degree programs that are offered online, and they enrolled over 30,000 students. Their courses are created to be flexible, so the lives of busy adults don’t have to be disrupted too much in order to achieve a degree successfully. One statistic that is worth holding onto is that 87 percent of their graduates obtain a job within 90 days of graduation. Affordability is a big selling point for getting an online degree from Arizona State University. They were named “The best buy for excellence and value,” by the Fiske Guide to Colleges. Students can participate in their programs from anywhere in the world, and still, they only have to pay in-state tuition. They pride themselves on having no hidden costs and no extra fees for certificate programs. Their website features a cost estimator calculator so students can plan ahead and not accrue unaccounted for debt. Arizona State University caps tuition at 10 or 11 credit hours for Arizona residents. 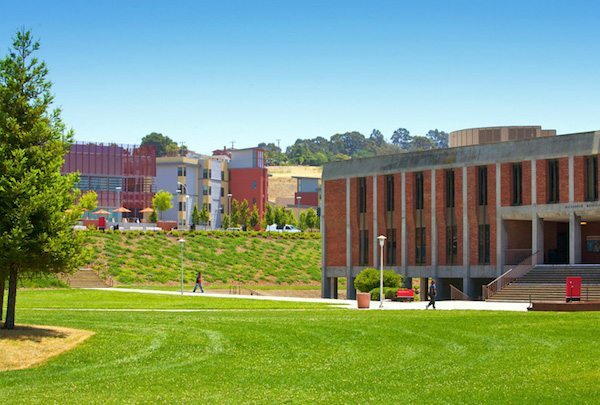 California State University, East Bay’s online degree programs provide an education that is not only affordable but prides itself on flexibility for working adults. Students can chip away at coursework 24/7 on the online portal and work around family and career obligations. The online portal allows students opportunities for peer engagement and interactions with advisors and faculty. The classes are built to be accessible to a diverse student body, student-centered, and caters to all learning styles. Their programs includes relevant coursework and certificate options. Cal State University is located in Hayward, California. They were ranked by the 2015 Chronicles of Higher Educations Almanac as California’s most ethnically diverse institution of higher learning, and fifth most in the nation. This translates to a school answering the calling of whom they serve, and as a result, implementing programs that cater to the needs of their unique student body. Many rankings have made explicit reference to their affordable tuition rates. George Washington University’s online degree programs (GW Online) have earned one of the nation’s most prestigious universities a new reputation as a leader in online education for working professionals. GW Online programs run the gamut from the arts and humanities to GWU’s greatest historic strengths: business, healthcare, law, and engineering. GW Online gives students all over the world the opportunity to study with one of the most politically-connected institutions in the US. Though the campus of George Washington University is in DC, they foster an online education that turns DC into a Digital Community. Part of what makes these programs a good value is the plethora of financial aid options that include work-study opportunities, fellowships, and scholarships, as well as the return on the investment. Graduates that emerge from this program have a good chance of achieving employment that is lucrative enough to pay back any loans in a short period. 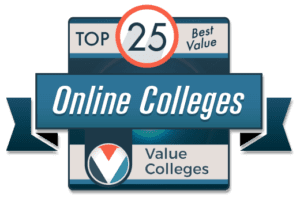 Western Kentucky University’s WKU Online places the university among the most affordable online colleges in the United States. They deliver over 50 bachelor’s, Master’s, and Postgraduate programs that entirely online. Their affordable and accessible options also include credit certificate programs. They also have what is known as the Colonnade Courses, which are general education classes in service of bachelor’s degrees, most of which students can take entirely online. WKU makes it part of their mission to serve all students, including nontraditional adult learners who not only require flexibility but may have a variety of learning styles that need to be accommodated. Students can create their flexible schedules and can complete many of their courses in only seven weeks. Western Kentucky University never charges online students out of state rates, making it a very affordable choice. Bowling Green, Kentucky, is where WKU calls home but students can participate in their classes all over the world and still get the WKU name on their degree. 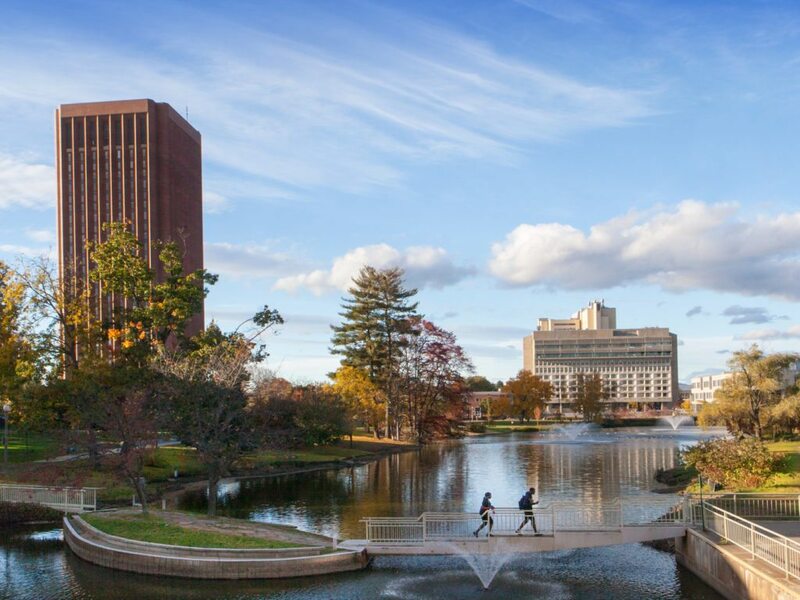 The University of Massachusetts Amherst’s UMass Online programs are affordable, accessible, with a significant return on the investment for graduates. Online students access all of the benefits as their on-campus counterparts as they have the same internationally renowned faculty, many of whom are recipients of such awards as Pulitzer Prizes, Nobel Prizes, among many others. Even though the price tag is not through the roof, the academic rigor and expectation are significant. They offer hundreds of online classes and many degree programs that span a variety of disciplines. The degree makes no mention of online learning, so employers will only see the UMASS name. UMASS Online was launched in 2001 as an attempt to make the UMASS experience accessible to a more diverse population on all fronts. The costs of travel and community go out the window when you pick an online degree, so what you save as a result also contributes to the value of their online programs. 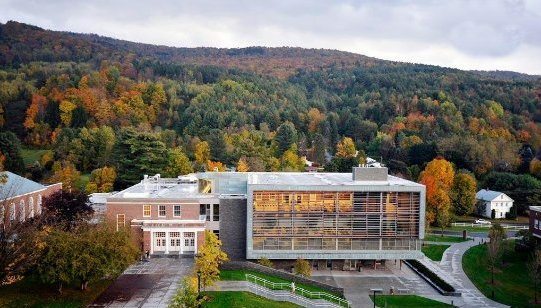 As online learners make their way to the front of academic excellence, and accessibility UMASS online continues to expand their offerings. 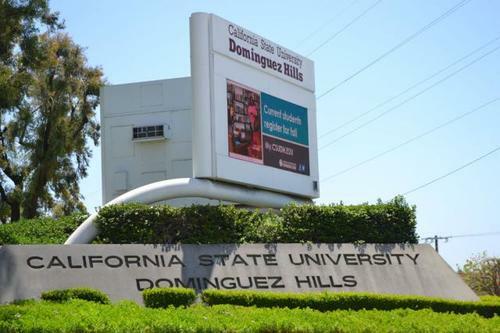 California State University, Dominguez Hills’ online programs are a great option as far as affordable online colleges go. It is important to note that you must already be a matriculated California State University, Dominguez Hills student who has completed a minimum of 12 units and has earned at least a GPA of 2.0. They offer three bachelor’s programs that are entirely online, five master’s, and seven certificate programs, as well as a variety of classes that can intersperse with face to face classes. There are also unique classes offered online in TV and Media Production, and many of the classes are broadcast live over cable channels. One of the things that make California State University, Dominguez Hills online programs accessible are their extensive financial aid opportunities scholarships, Workforce Investment Board contributions, and military assistance. Those who earn degrees online will get an education valued the same as an on-campus degree, without an online distinction on the actual certificate. 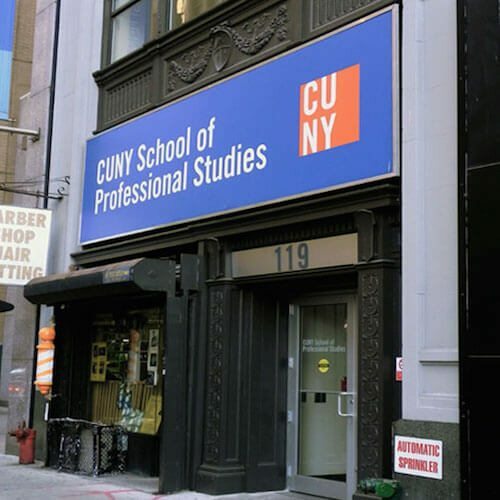 The CUNY School of Professional Studies online degree programs are is among the best affordable online degrees in the nation. The US News and World Report have ranked them 16th among the top Online Bachelor’s Programs in the nation. The flexibility of an online degree can be a real deal maker for students with many life commitments. CUNY utilizes interactive web technologies that give students access to faculty and advisor communication and support, as well as engagement with classmates through multiple means, including discussion boards, ePortfolios, and blogs. This is the first online program in the CUNY system. Best value comes a significant meaning at CUNY for things you may not even consider as a student. For example, 85 percent of their online classes require no textbooks to save students on costs. They have developed a system where they utilize open education resources instead of having additional expenses. All students who take online classes, no matter where in the world they may be will receive in-state tuition. Central Washington University’s online degree programs make it one of the best affordable online colleges, as they are student-centered accessible on all fronts. They offer personalized academic programs and a commitment to high-quality teaching with a price tag that is manageable. They offer a large variety of online degree programs and classes that can lead to certificates. Their online options have enabled students to earn their degree in a timeframe much shorter than traditional education. Generally, students can take greater control of their learning in this format, and still have the same faculty and administrative support as traditional on-campus students. The degree students earn no mention of its online delivery as it was obtained with the same resources as if in the traditional classroom. 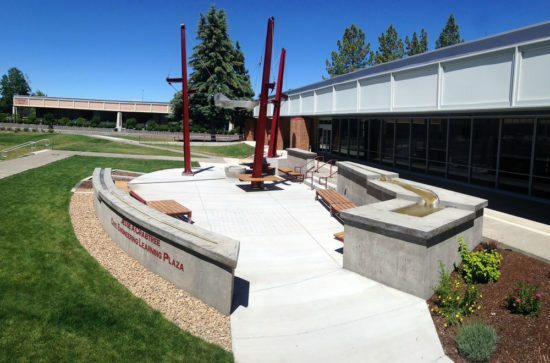 Central Washington University offers students a variety of financial aid options including grants, fellowships, and scholarship opportunities. Students have many options on how to structure their curriculum. The value of an education at Central Washington University is apparent as this rigorous, flexible, and economically smart degree program has proven to support lucrative career development and opportunities for graduates. Drexel University’s online degree programs are full of surprises, combining an internationally-respected reputation with unexpected value. This elite institution of higher learning is invested in accessibility as they serve students from diverse backgrounds and life circumstances, which has opened them up to create more academic options that center the needs of a variety of students. They offer over 100 online programs and a wide range of relevant and cross-disciplinary classes. Students can work towards Bachelor’s, Master’s, Doctorate, and specialized degree and certificate programs online at Drexel. 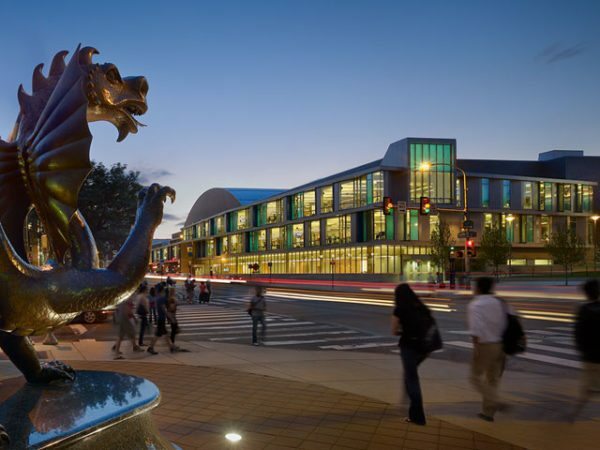 Drexel University has been offering comprehensive online learning opportunities for students since 1996. They have made a genuine commitment to making online learning affordable to as many students as possible with many reduced rates, and specialized rates for alumni, military members and a variety of partnered organizations. They also offer a competent financial aid department that can help students learn about payment plans, Federal and Private Loans, as well as loan deferment plans. 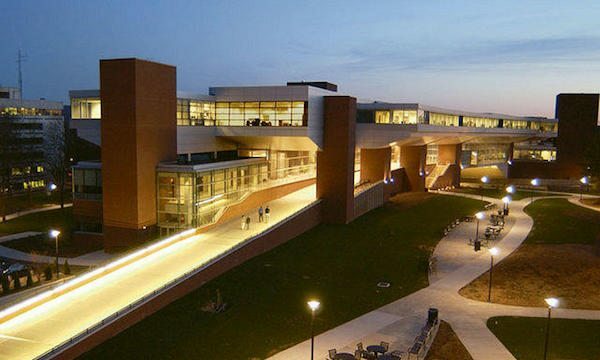 The online programs at Penn State World Campus are unique in that they belong to a university department that is solely dedicated to online education and has been an innovator in this field since long before the internet. The history of distance education at Penn State has meant in many ways, the faculty and staff have perfected the craft of teaching students who live in vastly different and separate communities. It also says that the teaching methods for distance learning students have been honed over time to create an individual approach that centers the needs of students. Indeed, each program even has agency over what kind of learning management tool best suits the type of learning needed. Penn State has been a leader in distance education methods since 1998 when the World Campus started. Since then, they have prioritized creating online degree programs that can reach students who are nontraditional learners. Since the entire school is online, each course is specifically tailored to meet the needs of the content of the class. Students are expected to complete the same amount of rigorous work as an on-campus student. Norwich University online graduate and continuing studies programs come from a nationally recognized accredited online colleges on this list. They have been offering distance and online education for 20 years, and have honed best practices in meeting an adult and non-traditional learners where they are concerning life circumstance and professional obligation. They are fully accredited by the New England Commission of Higher Education. Even in their online programs, they pride themselves in offering a plethora of hands-on learning opportunities. They are also recognized by the National Security Agency and Department of Homeland Security, as a military and veteran-friendly institution. The value of Norwich University online is in the statistics. Ninety-three percent of the alumni thought it was a worthwhile experience and was a stepping stone to their career paths, and all would recommend it to a friend. Norwich has offered lots of opportunities for students to receive financial aid and get the most out of their benefits. There are many opportunities for students to learn the ins and outs of financial assistance. The University of Oklahoma Extended Campus is one of the best online colleges for working adults for many reasons, one of which is their affordability and great value. Their offerings include Bachelor’s degrees and Master’s, as well as a large variety of certificate programs and classes designed for lifelong learning. They have a learning management platform that is designed for interactivity and is extremely user-friendly, ensuring that no one will be left behind. Students will have access to peer, faculty and administrative support every step of the way. University of Oklahoma Extended Campus prides themselves on being military and law enforcement friendly. As a primarily military serving program, the Extended Campus is well versed in all things military education. They take extensive measures to ensure that all service members have access to the things they need to do well in their online college experience. They offer several military discounts on tuition, waivers, and tuition assistance, depending on which branch the student served. They have experts on hand who are versed in financial aid that is specific to the military. It is genuinely a tailor-made experience. Ohio State University’s programs from Ohio State Online make it one of the most affordable online colleges in the US. Not only do they have many degree programs to offer, including Bachelor’s, Master’s, and Doctoral, but they have many certificate options. Their learning management system called CarmenCanvas is comprehensive and offers adequate interactive opportunities for students to engage with faculty and peers. Students can work at their own pace in this self-determined model designed for those who require something more flexible than the traditional classroom method of study. Online study is not for everyone, and requires much discipline; faculty in this program have this awareness and work with students ensure they have everything they need to be successful. Ohio State is committed to supporting students to get the most financial aid possible. They ask students to start the process by filling out the FAFSA form and taking it from there. Their financial aid office is there to assist distance learning students with getting all of the opportunities for which they are eligible. Western Carolina University’s distance and online programs make it one of the most affordable online colleges that offers students the option to get a flexible education that has benefits beyond the manageable price tag. They offer programs that are both entirely online and hybrid options. They have a wide variety of undergraduate program offerings including Emergency and Disaster Management, RN to BSN, and Criminal Justice. They also have more than 10 Graduate Program offerings, as well as certificate programs. Distance learners get the same treatment as students who study on campus and receive an online orientation to set them up for success. They also have access to tutoring services and personalized academic advising. 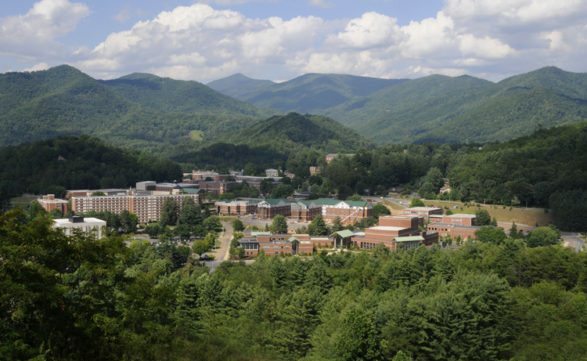 Western Carolina has many financial aid offerings that can be confusing, so they ensure that the financial aid office is equipped to support students through an individualized process of getting the most out of the options. Incoming students benefit from the new initiative called the NC Promise, which gives undergraduate students in the state access to reduced tuition rates as of Fall of 2018. 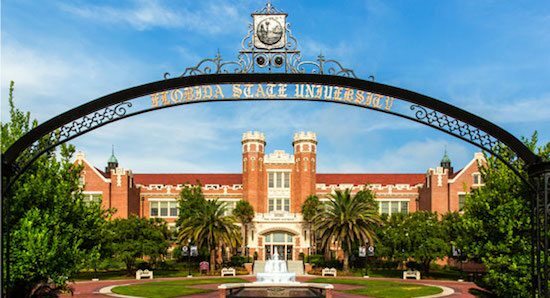 Florida State University’s [email protected] offers online programs ranked among the most affordable online colleges. They have many courses and degree options that can be completed entirely online including undergraduate and graduate programs. The options are considered advanced standing degree programs which can be initiated by students who come in with an Associate’s degree or equivalent. Students must also have met their specific liberal studies requirements to qualify. Their general courses can be taken in isolation or as part of a more extensive program. Some online courses are synchronous, and others students can take in a timeframe that works for them, meaning they will not have to sit for a class at any given time, but when it is convenient. [email protected] gives students many options to pursue financial aid options. Part of the deal associated with their programs is students have access to the same top-notch and award-winning faculty as on-campus students and achieve a degree that makes no mention of online coursework. Through Texas Tech University’s eLearning and Academic Partnerships online program, you will find one of the best online colleges in Texas that also happens to be one of the best online colleges for working adults. They also happen to be ranked highly as offering some of the significantly targeted programs for disabled students. Their online offerings include a myriad of Bachelor’s Degrees, Master’s Degrees, Doctoral Degrees, and a large variety of graduate certificates. It is easy to gain a tremendous amount of transparency in the price tag with their tuition estimation calculator. They offer unique opportunities for students who are veterans and in the military. They provide significant advisement and student support, including a 24/7 chat line that is accessible to students. Many things make Texas Tech’s Online programs a steal as far as the cost-benefit, including the fact that students who study exclusively online never have to out of state tuition no matter where they live. Another offering that ups the ante as for a bargain is their transfer scholarship opportunities for students coming from community colleges and want to complete their degree online through Texas Tech. What should I look for when deciding between affordable online colleges? When deciding between the affordable online colleges we have listed here, there are several things to consider in your online college search. While all the schools we rank are reputable, regionally accredited online colleges, there may be specifics that are better at one institution than another. Transfer Policy: If you started your education at a different institution, make sure that the school you settle on has a generous transfer policy. It will be a shame to lose your work through transfer if it is avoidable. The best online colleges for working adults know transfer is crucial. Technical Support: If you’re taking an online degree program, one of the main benefits is that you can do your work anytime – even if it’s 3am. 24/7 tech support is crucial for getting the most out of an online program. The best affordable online colleges won’t skimp on support. Flexibility: Narrowing your online college search to top online colleges that are close to home, or at least in your home state, gives you the option to go to campus if you need to for paperwork, help with tutoring, or to check out a library book. Resources: Did you know there are online colleges with free laptops for students? Oh, yeah. After all, the best affordable online colleges know that students need the equipment to do the courses. Online colleges with free laptops are becoming more common, and it will usually be pretty prominently advertised. Application Fee: Not that you’re a cheapskate, but if you’re looking for affordable online colleges, online colleges with no application fee should be on your radar. Application fees aren’t that much – usually $50 to $100 – but most people have to apply to multiple schools. That adds up, and cheap online colleges without application fee requirements take the load off. Many top online colleges will have an online info session before you commit where you can ask questions that you have about things like this. If it does not meet your need, find a new school. Better to spend more time attempting to compare the best affordable online colleges than being stuck with one that is not right for you. I have a full-time job. What are the best online colleges for working adults? When your online college search identifies the regionally accredited online colleges that you hope to attend, and making sure that your home state does not have any restrictions on attending, check that there are asynchronous classes available. The best online colleges for working adults should offer a choice. The difference between these two comes down to expectations. Asynchronous courses typically means that lessons are posted, and students have a certain deadline to finish the assignment. Students can watch or listen to lessons and do their exams and papers on their own time, as long as they’re turned in on time. Even asynchronous classes at the best online colleges for working adults usually have an opportunity for students to interact in some way, such as a message board or chat session. With synchronous courses, however, the instructor expects students to attend online classes on a virtual classroom at a specific day and time. They also expect that students will participate in class discussions in real time, and ask for clarification if they need it while everyone can benefit. The only problem with this expectation for working adults is if your schedule ever changes, and you need to miss class. It could harm your grade or put you behind in your studies. The best online colleges for working adults may have either synchronous or asynchronous classes; neither is superior. For convenience, however, most working professionals will be better off asynchronous. Why prefer regionally accredited schools to nationally accredited online colleges? There are three main differences in accreditation. There is regional accreditation, meaning one of the six regional accrediting bodies are responsible for overseeing that college or university. Every five to ten years the accreditor is accountable for auditing that the institution is adhering to the rules and regulations they set forth — the auditing process checks on the institution’s course offerings, faculty credentials, and use of federal funding including student tuition. Commonly, regionally accredited online colleges are preferred to nationally accredited online colleges. The rigor needed to obtain regional accreditation is greater than that of national certification. Nationally accredited schools tend to be online schools that have lower tuition, fewer requirements for entry, and lower graduation rates; a lot of for-profit colleges are nationally accredited. Regionally accredited online colleges often have a long-standing reputation and more potential for transferring credits. The last type of accreditation is programmatic. This type does not apply to the school, rather the specific program in question. For example, a business school might be AACSB accredited, and a nursing school may earn CCNE accreditation. These are independent bodies that audit these programs on their own and have no bearing in the broader school’s status. Regionally accredited online colleges may not have program accreditation, but it is rare to see program accreditation without regional accreditation.